Our partner companies offer fixed prices based on your information. If the move or cleaning takes longer, you are protected by the fixed price. All the companies have a business liability insurance and the moving companies have an additional freight liability insurance. Compare the price-performance ratio of the companies and save up to 70%. All our companies offer the handover guarantee for the final cleaning. We promise, that the service will take place on the date agreed upon. MOVU is by your side, even if difficulties emerge. MOVU only works with selected moving and cleaning companies. All our partners go through a thorough admission process and have to undergo regular quality tests. To get a feeling for the companies, MOVU meets every company personally. Only companies that are entered in the trade register, that are insured and have a clean debt collection register can offer quotes on our website. Newly acquired companies have to prove that they meet the quality standard of MOVU during the probation period. If that is not the case, the working relationship will be terminated. We insure our customer’s satisfaction through meetings and trainings with our partner companies as well as regular technical improvements. Competent and very friendly employees. Optimal price-performance ratio. Moving without any problems. Highest recommendation. I sent Movu photos of all the rooms, basement and balcony, they invited the best offers and one week later the move was done in one day. Perfect! The service is very user-­friendly and the prices are fair. The moving company did an excellent job. The helpfulness and friendliness of the movu team is excellent! I’m very satisfied! They are always eager to get everything in order, they’re uncomplicated and fast when clarifying something! On time, everything clean including handover guarantee, very friendly, good & fast communication - what else do you need?! I had a hassle-­free relocation. Many thanks to the lovely Move Captains who helped me to choose the right company. Easy website, fast response with different offers, and the ratings from other users were very helpful when choosing a company. Great coupons and special deals. Five offers in no time, competent guidance and straightforward booking. I can only recommend the service. 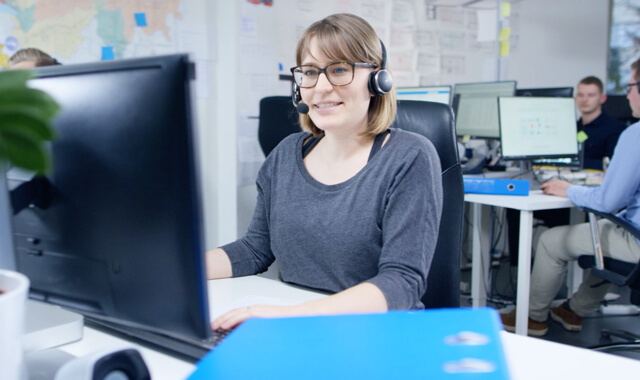 Everything went very fast: it was easy to provide the details, the offers came very quickly and were adjusted, after choosing a company they contacted me promptly. Great. Movu really only works with competent companies and the move captains are always available and very helpful. Next time I’m moving I will certainly use the service of Movu. Everything went smoothly!! I was well advised, supported and my wishes were taken into account. All round satisfactory service. Requests were answered quickly and personally. Very fast answers. Quotes within less than 24h. Friendly on the phone. Personal consultation. Very fast answers. Had a nice person on the phone. Great information and help. Everything so far went smoothly! I was very satisfied with the fast service and the nice phone call - great customer service. Within a few hours I had different quotes and distributing the tasks was trouble-free and uncomplicated. Only made positive experiences from beginning to end. Very good and efficient consultation, inventory and ready to answer all questions. No pressure to book. Very recommendable! Movu was engaged and helped me to find a good quotes despite difficult circumstances. Anytime again, when moving the next time. Very customer oriented, helpful and fast! 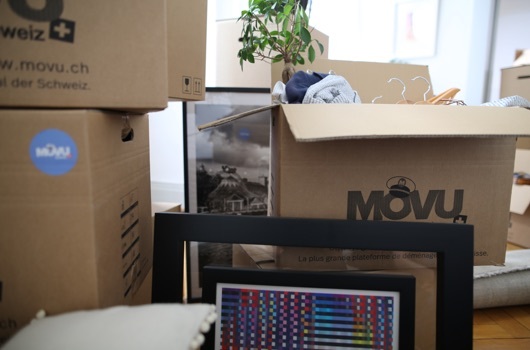 movu really helped us to organize our relocation at a good price. We weren’t spammed with email, sms or advertisement. Instead we received competent answers and the right amount of clear information. Very good service. Movu managed to give me the confidence, that this is a serious service. Since I didn’t have any trouble with the cleaning company, Movu didn’t really have to do anything. I was really sceptical at first, but an informative phone call before booking and the smooth process showed me, that the service works flawlessly. I can only recommend it, thumbs up!! My move and the apartment handover were really easy! I received 5 offers within just a few hours and competent consultation from the move captains. Everything went well and within the promised time. Filling out the form with the moving goods went very intuitively. Especially because of the categories. Having access to the reviews from previous customers helped me to make the right decision. The MOVEasy insurance covers damages on moving goods on replacement value (=original value). Gain free access to the legal advice by Beobachter. Get answers to legal questions about your move and other topics. Get exclusive coupons and discounts for furniture, materials for renovation, electronic devices and more. Save more than 1’000 CHF. With one inquiry you get five offers with fixed prices and can organize your whole relocation online. MOVU isn’t a moving or a cleaning company. Instead MOVU acts as an independent and neutral consultation and service platform. Your furniture will be disassembled in the old apartment and assembled in the new apartment. The movers pack and unpack your whole inventory into moving boxes (e.g. tableware, clothes, books etc.). If you need moving boxes, you can order them in our shop at topkartons.ch and have them delivered to your home within two working days.